In C.F. Bean, LLC v. Barhanovich, a case from the United States Court of Appeals for the Fifth Circuit, plaintiff was in a recreational fishing boat when his outboard engine hit a dredge pipe that was submerged in the water. When the outboard engine shaft hit the pipe, the bracket that secures the motor broke, and it flipped up at high rate of speed and hit plaintiff, who died in the accident. Following his death, his family filed two cases. One was a personal injury lawsuit alleging wrongful death against operator of the dredging action with decedent’s estate as the named plaintiff. The second lawsuit was a claim filed under admiralty law, because the cause of action arose from an accident that occurred in navigable waters. These two cases were consolidated for the purpose of judicial efficiency. If a loved one is killed in an accident, your Boston personal injury lawyer can discuss with you the process of opening up a probate estate in the name of that deceased loved one, so you can file a lawsuit as personal representative (executor) of that estate. In Boston, for example, you would open that estate at the Family and Probate Court for Suffolk County located near Haymarket. You can also discuss if you have any direct causes of action in your own name, such as loss of consortium. In C.F. Bean, the defendant filed a third party action impleader against the maker of the outboard engine. This is common when one defendant believes that another party is partially or fully responsible for any damages. This will allow them to make to a claim for indemnification, as well, if they paid damages that were rightfully the other party’s responsibility. 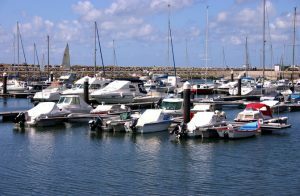 The case he filed against the outboard engine maker was a products liability action in which he alleged that the engine bracket was defectively designed and should not have broken causing the motor to hit the decedent. At this point, the maker of the engine file a motion for summary judgment asking that the case against them be dismissed. The basis for the dismissal was that the defendant did not set forth any facts that, even if true, would prove his case. The problem with this was that defendant was not allowed to designate an expert because he had failed to do so in a timely manner under the discovery schedule. Defendant appealed this, and, on appeal, the court found that the court was right in some ways to exclude this expert, but remanded the case for further proceedings with a suggestion that the court find another alternative sanction thus allowing defendant to have his expert witness testify with respect to the engine bracket. The reason for what seems like a strange order for a court of appeals is that, while the court had the discretion to sanction defendant by excluding his expert, courts favor what is known as a decision on the merits and do not like actual evidence to be excluded in a civil case.